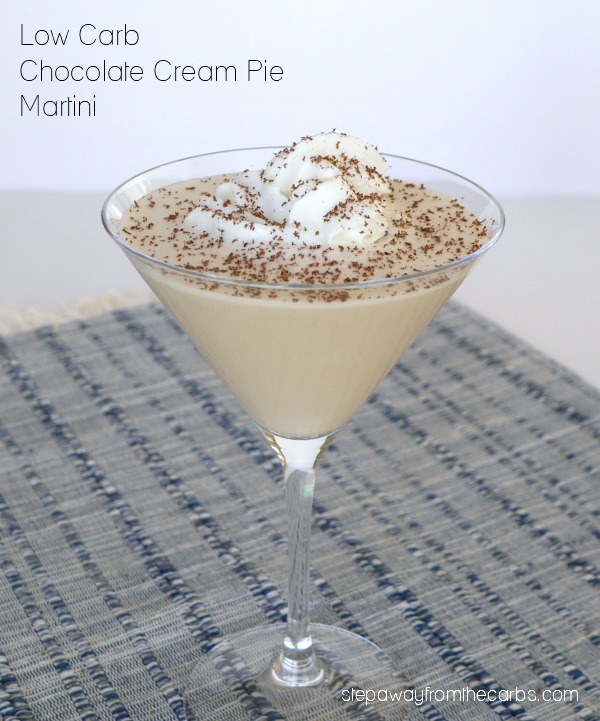 This low carb chocolate cream pie martini is an indulgent vodka-based cocktail. Cheers! So… technically this isn’t a martini (which is a mixture of gin or vodka with vermouth) but it does contain vodka and it IS served in a martini glass, so I hope that the purists will forgive me. I thought for quite a while about how to get the chocolate flavor into the cocktail. The obvious option is unsweetened cocoa powder, but I find that it needs more than a few shakes in a cocktail shaker to dissolve it into cold liquid. I then considered a chocolate flavor of my favorite brand of sugar free sweetening syrup – Da Vinci. This has the happy benefit of also adding sweetness to the creamy cocktail. But unsurprisingly, the chocolate taste can seem rather artificial, so as well as the syrup I added some chocolate extract. 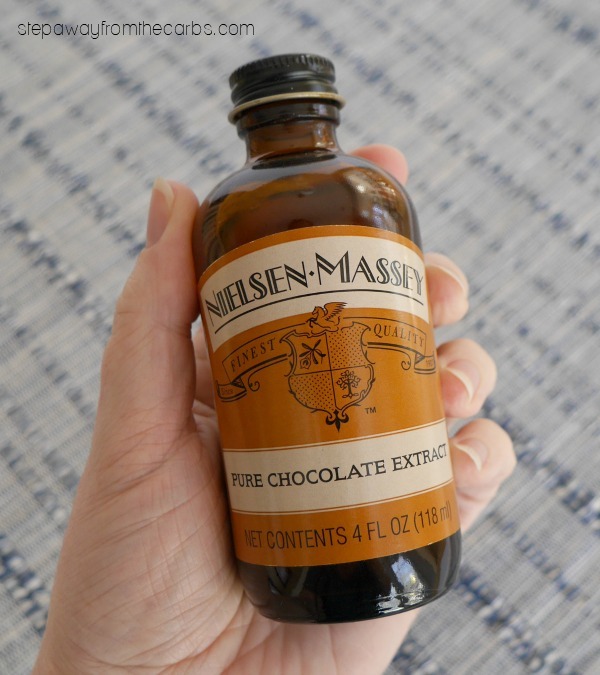 I’ve been using chocolate extract ever since I wrote the Low Carb Chocolate Recipes book – and it works really well for adding some deeper chocolate notes but not adding to the carb count. So enjoy this indulgent and luxurious martini cocktail – knowing that it is only *2g* total carbs!!! Mix together the following in a cocktail shaker: vodka, heavy cream, unsweetened almond milk, sugar free chocolate syrup, chocolate extract and ice. Strain the mixture into a martini glass, then squirt some whipped cream over the top (omit this for a sugar free option, or whip your own cream without sugar. But the canned cream is the most convenient option – and always feels decadent for some reason). Use a fine grater (I love my Microplane!) to grate some low carb chocolate over the top (Choc Zero or Lily’s Original Dark Chocolate are my absolute favorites. 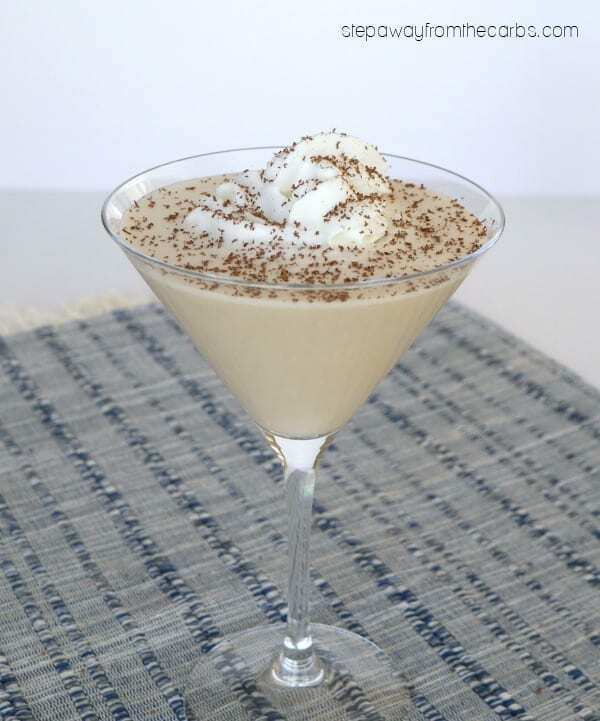 Enjoy this decadent drink! Strain the mixture into a martini glass, then squirt some whipped cream over the top. Use a fine grater to grate some low carb chocolate over the top of the cream. 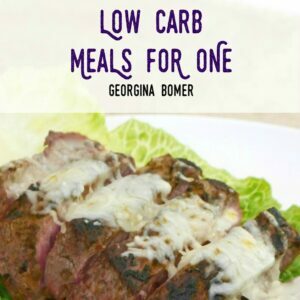 Check out my Low Carb Chocolate Recipes Ebook! 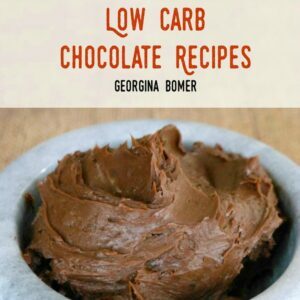 If you adore chocolate - you'll love my book! 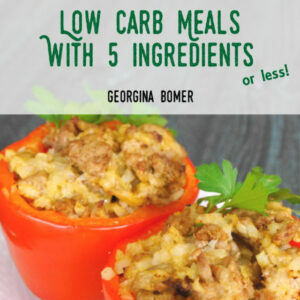 Over 60 amazing recipes - all low carb, sugar free, and gluten free! 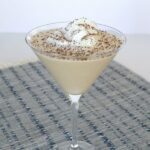 Check out my Low Carb Cocktails Recipes Ebook! 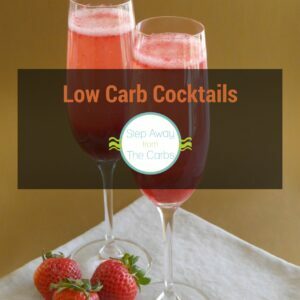 If you want more low carb cocktail recipes, check out my mini ebook!